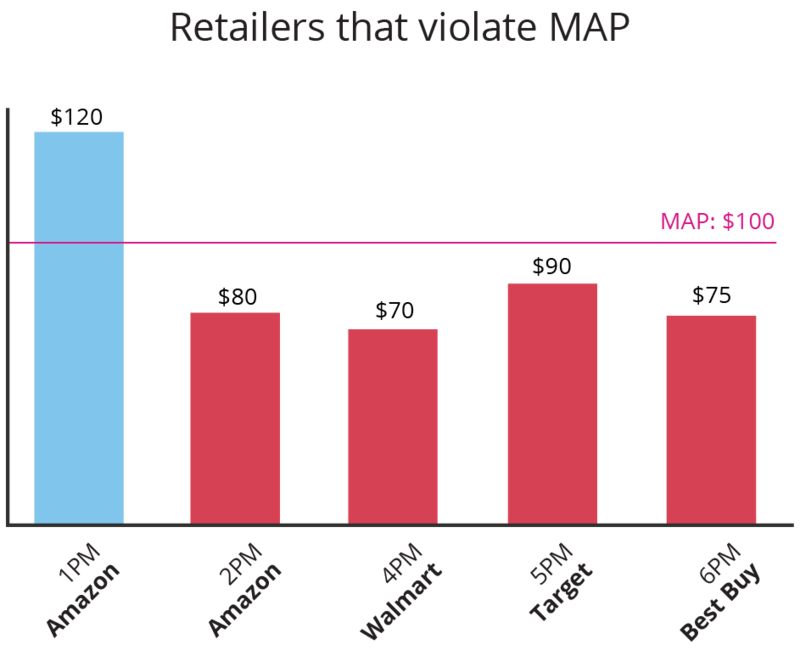 Know which retailer violates the product's MAP and when they do it. Minimum Advertised Price (MAP) is the practice of distributors agreeing to promote a manufacturer's products at certain prices. It ensures that all business remains profitable. Our dashboard alerts have a number of features that help users deal with MAP violators. Know when retailer violates MAP. 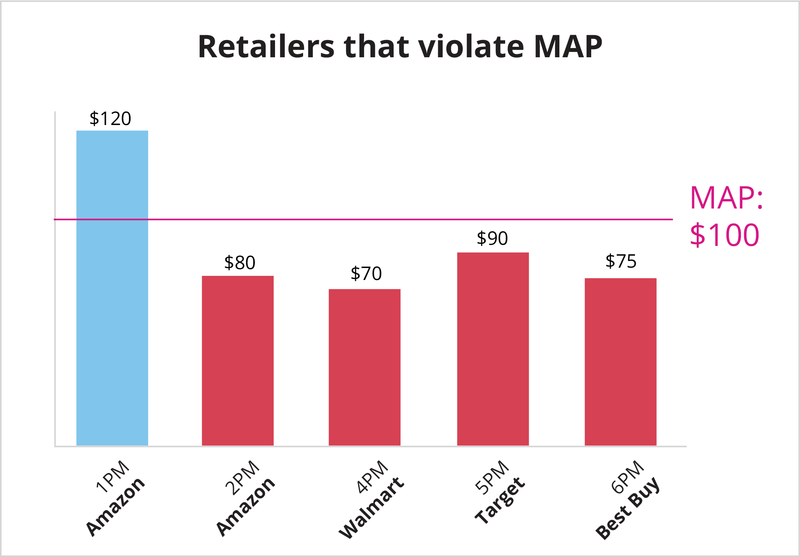 Know which retailer violates MAP on an hourly or daily basis. Identify the retailer that violates first and the ones that follow. Fig 1. 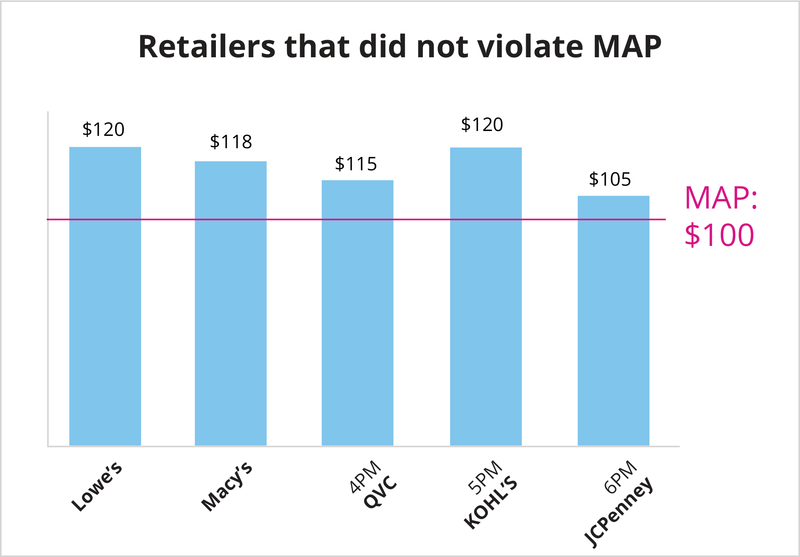 Bar chart shows which retailer violates MAP on an hourly basis. In this case, Amazon first lowered its price at 2PM. The others followed. Fig 2. Bar chart shows which retailers adhere to the MAP for the same period. Know which product's MAP was violated. Identify the SKUs that have their MAP violated. Know which retailer offers the lowest price. Our alerts can be exported to .ppt, .xls, .doc and be viewed offline.